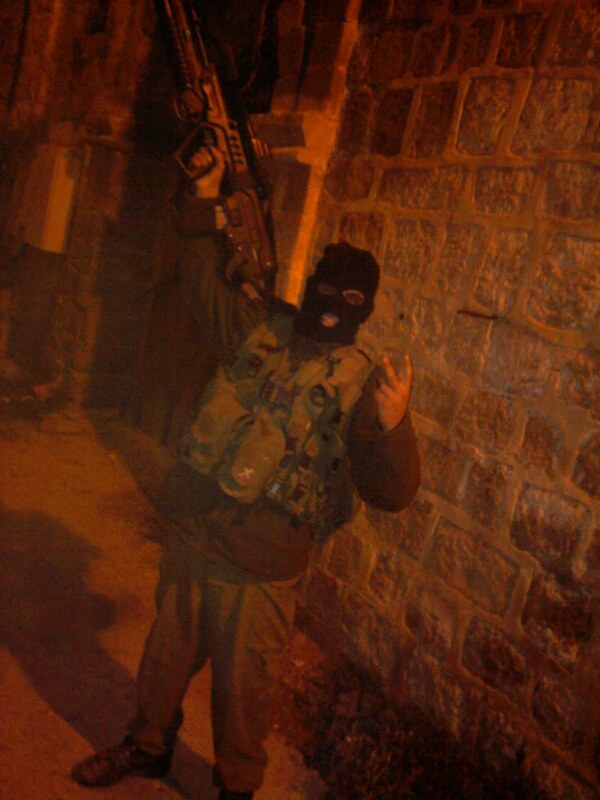 Israeli by Day, American by Night: IDF-Golani Terrorist! I met this wonderful Hamas operative while on a patrol in al-Madina al-Muqaddasah. Call him a terrorist if you will, but he was a swell fellow. Hey, if you can't have a sense of humor during an 8 hour recon mission, you're bound to go crazy. Hehe, nice. What's on the tavor? the grenade thing? peace sign? that is pretty funny. Since when is V a peace sign anyway? I thought it was V for victory (Churchill).